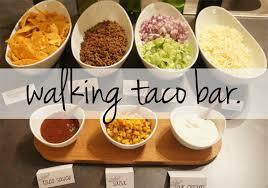 We are planning to host a "CIY Walking Tacos and Bake Sale" fundraiser and are looking for workers. CIY Youth and their parents will earn credit towards the cost of this summer's CIY Move and CIY Mix. We will be hosting the event from 12-2 p.m. on Sunday, April 28 at the Power House. Your assistance is needed to make this event a success. The contact person for the Walking Tacos portion of this event is Kim Lake and she can be reached at 316-259-1097. The contact person for the bake sale porition of this event is Jenny Turner and she can be reached at 316-218-2278. For questions related to sign-up genius, contact Jenny Turner at 316-218-2278.